Wouldn't you rather spend more on your honeymoon than on your invites? 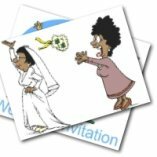 Try these very cheap wedding invitations and stay in budget. Invitations can be so expensive these days. But you don't necessarily have to compromise on style in order to keep your costs down. These cheap wedding invites are are beautifully designed. And they are so cheap that they are only going to cost you what you spend on paper, ink and envelopes. The invites themselves are free! 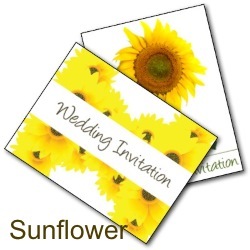 These invites print on standard sized paper - letter or A4 sized - then fold to make a card. 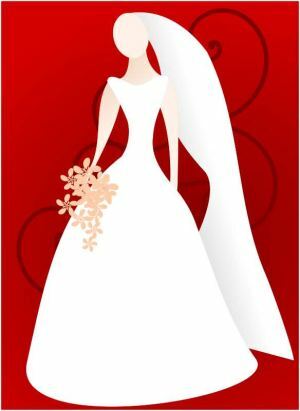 This invite features a bride on a red background for a modern look. A softer variation. This time I used a soft pink background for a romantic feel. When you are trying to stick to a wedding budget, then invites can be the straw that breaks the camels back! It is very easy to spend a fortune on them. But you can very easily get great value for money without having to compromise on quality. 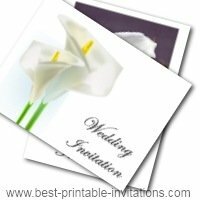 The beautiful designs on these free printable invites make them really very special. To get the most out of them then do spend some time over the printing and writing of them. 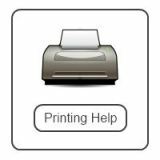 Before you start, check you have plenty of ink and your printer is working properly. It pays to try out different types of paper first - you want something that has a 'good quality' feel to it - but not too stiff or it won't fold well into the card. Print out a few invites at a time to prevent smudging. Then take some time to fold carefully so that the edges line up nicely. If you don't have very nice handwriting, then rope in a friend that does to help you write them out. Using a gel pen will give you a smooth, well written look. 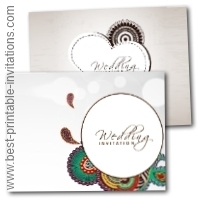 Use decorative stamps on your envelopes - or choose envelopes with a pretty design that will match your invites. 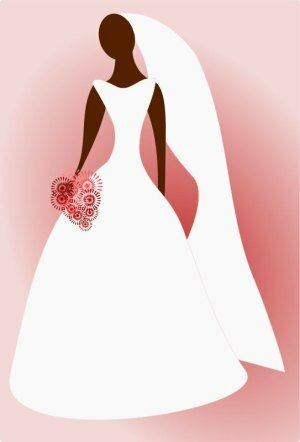 We hope the money that you save helps you have the honeymoon of your dreams!